Product Description: 16-Inch Mesh Bowl Cover. Place this cover over your bowl and keep the flies away. 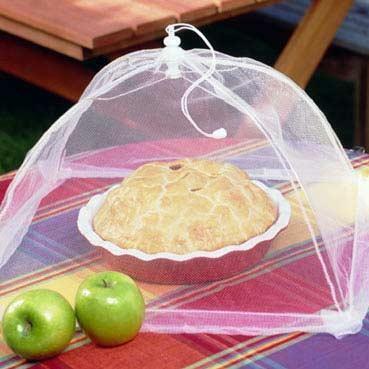 The tight mesh screen will prevent bugs from getting through, yet allows you to still see your food.